This is what connects you to your customers. They only see what you appear to be. If your business card doesn't stand out or it may even look just like your competitors from like vista print. No no no, please don't fall for that. 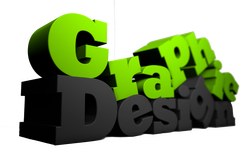 We know your busy, that's why we offer a Professional Design. Custom made from our staff. We design everything that you can think of. Things like business cards, flyers, yard sign full color, all digital media such as websites, logos and more. We take your idea's and make them "Ready for Print". We go as far as to store all your files from us on our private secure cloud server with 128 encryption. So if you lose them off your computer, you will have 24/7 access to them. This is How we Start! And what happens next is quite amazing. First of all, we charge $25 for quick artwork. What this does is devote our attention to you. This one simple act puts our designers flowing into idea's. We strive to be a little different. Most of our designs are complete within one hour. But some project's need more time. That's why we offer a money back guarantee, if you pay and our quote is too much than we shall return your money!